The 18th century astronomer and map maker Nicolas-Louis de Lacaille named this section of sky L'Atelier du Sculpteur. As such there are no myths associated with this group of stars. 18k JPEG NGC613 (Bennett 8) is a barred spiral galaxy located 7.8° west of Alpha Sculptoris. Dreyer describes it as very bright (mag. 10), very large (6'x4'), very moderately extended (118°), with an abruptly brighter middle, and a 10th magnitude star to the northeast. 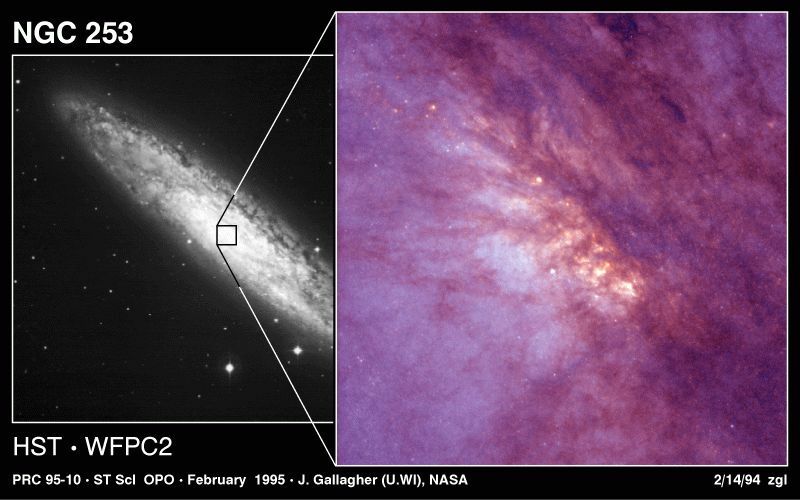 The brighter core is much more pronounced in larger amateur instruments (13"), as is the curvature of the galaxy's arms. Photographed by the Ohio State University Bright Galaxy Survey, part of the Astronomical Picture Gallery. 76k JPEG NGC300 (Bennett 6, Caldwell 70) is a spiral galaxy in south-eastern Sculptor located 7.2° north-east of Ankaa (Alpha Phoenicis). Dreyer describes it as fairly bright (mag. 9), very large (20'x15'), with an irregular, elongated shape that brightens slowly toward its nucleus. Larger scopes should see two sprawling, S shaped arms. The tiny mag. 14 galaxy, MCG-6-3-1, sits at the far right (west) of the photograph. From the second generation Digital Sky Survey. 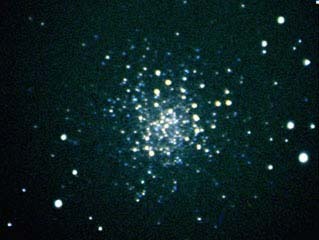 13k JPEG NGC288 (Bennett 5) is a bright (mag.8) globular cluster described as large (13.8'), loose, with stars mags. 12-16. 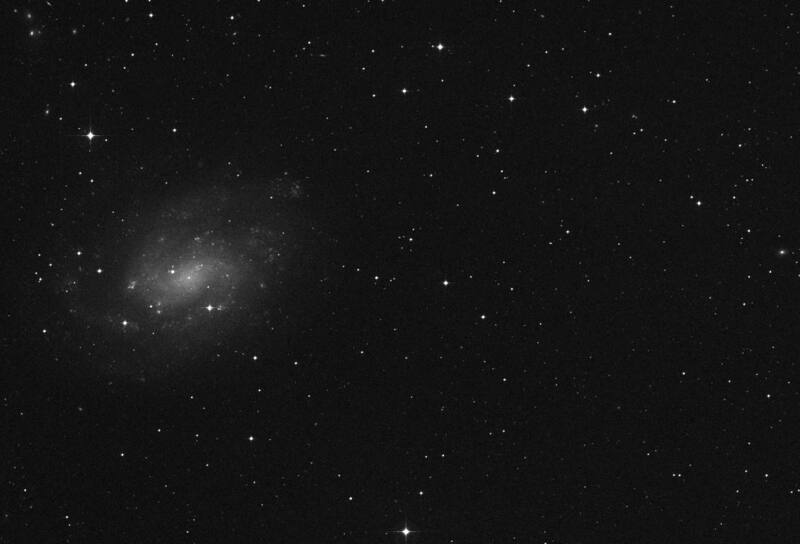 An easy object for a 6", it is located 1.8° south-east of NGC253, and 3.1° NNW of Alpha Sculptoris. Photo by Doug Clapp with an ST-6 camera, Tri-color RGB of 3-3-9 minutes. Taken at Star Hill Inn October 1996. 62k JPEG.An image of the spiral galaxy NGC 253 (Best 86, Caldwell 65), taken with a ground-based telescope and with the Hubble Space Telescope. The galaxy is located about 8 million light-years away in the constellation Sculptor. Located 4.8° NNW of Alpha Sculptoris and 1.8° north-west of NGC288, this is one of Dreyer's very remarkable objects. He describes it as very, very bright, very, very large, moderately extended in position angle 54°, with a gradually brighter middle. The brighter the telescope, the more detail from the multiple dust lanes swims into view. NGC55 (Bennett 1, Caldwell 72) is a spiral galaxy located in southern Sculptor, 3.7° NNW of Ankaa (Alpha Phoenicis). Dreyer calls it very bright (mag. 8.3), very large (25'x4'). There are three nebulous patches, one of which is the off center nucleus. The first image is from the Anglo Australian Telescope Observatory. The second is a full sized view from the second generation Digital Sky Survey. 65k JPEG. 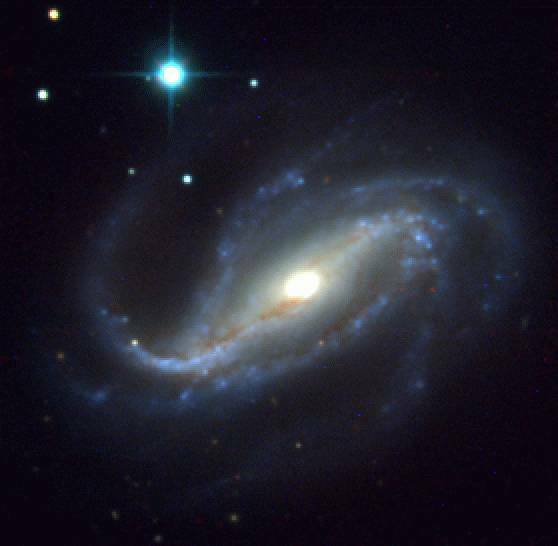 NGC7793 (Bennett 130) is a spiral galaxy located in the middle of the Sculptor lozenge, and described as "like a comet." It shines at mag. 9.6, and measures 9.4'x6.3'. Larger telescopes might detect structure, such as mottling and what appears to be concentric shells. Image is a 20 minute exposure on an ST-8 exposed through a 10" LX200 at 6.3 by Jerry Mulchin.